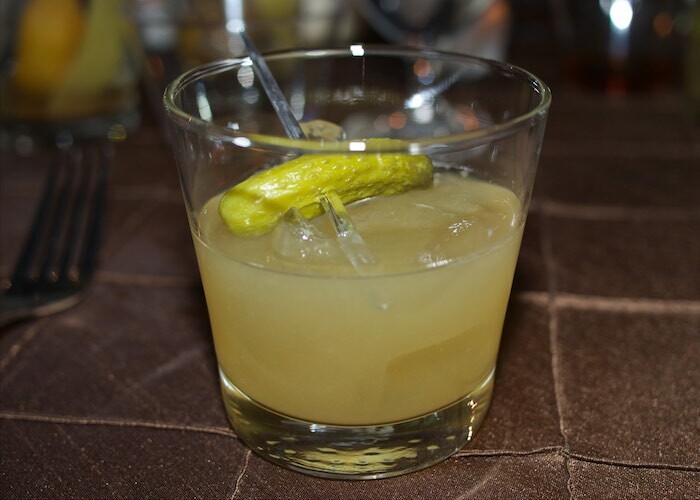 Last week The Mix Up Bar took their regular Thursday night Bourbon & Burger Happy Hour to the next level with a private dinner event under the stars. 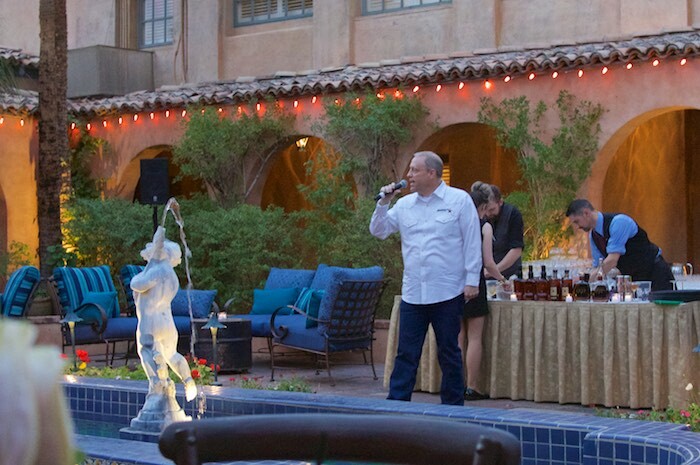 Both bourbon lovers and foodies came together to enjoy cocktails crafted by mixologist Charlie Zieler while learning about the history of bourbon from guest speaker Charles Garrison. Held in the courtyard outside of T Cooks at the Royal Palms guests were served a 3 course dinner each paired with a bourbon cocktail & tasting for only $60. 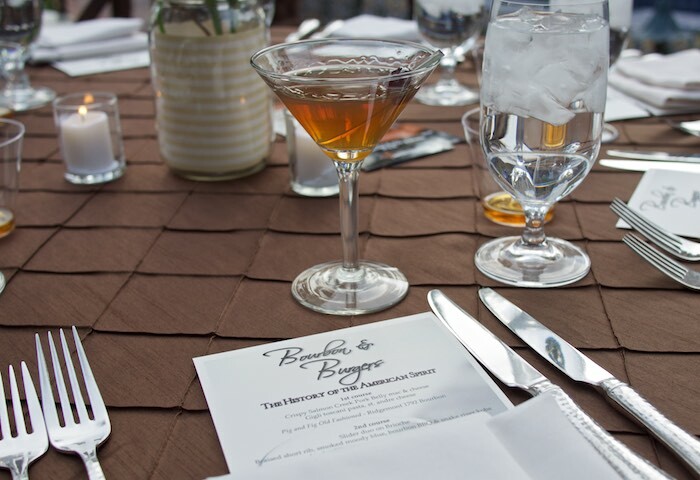 Diners were greeted upon arrival with an Manhattan and were encouraged to mingle before dinner. 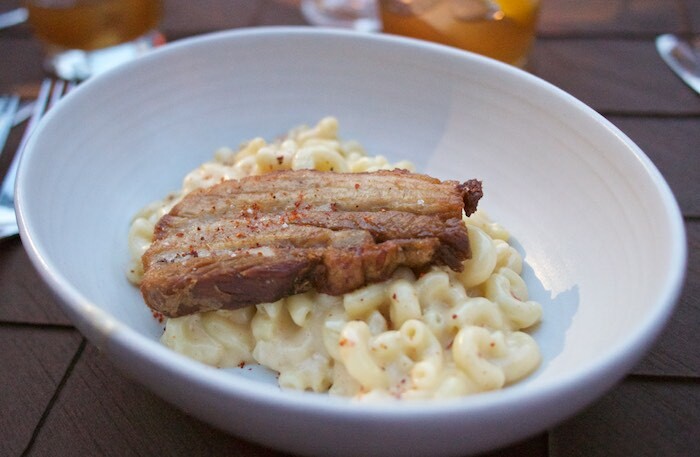 The first course was a delicious bowl of mac & cheese topped with pork belly. This was not any old mac & cheese but rather an imported Italian pasta with St. Andre cheese. 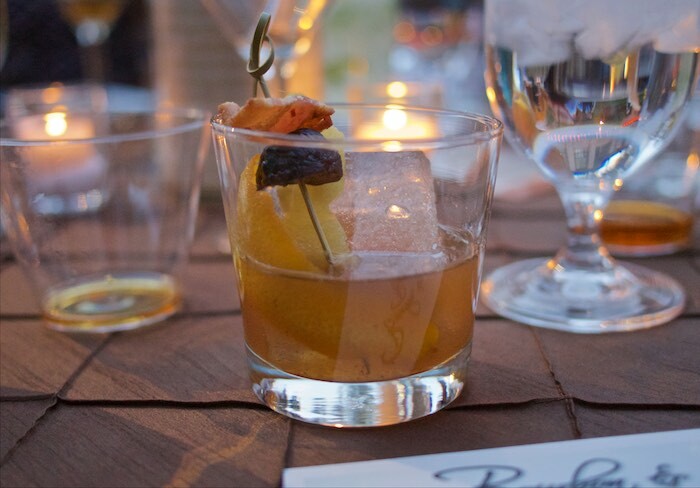 The accompanying beverage was a Pig & Fig Old Fashioned made with Ridgemont 1792 Bourbon. What made this unique was the Az. Bitters Lab Figgy Pudding bitters and the bacon. 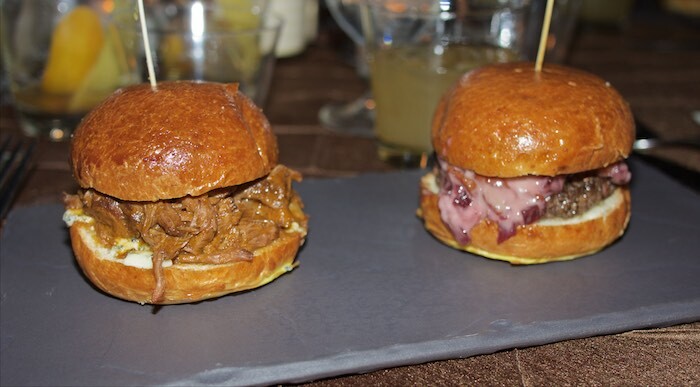 Next we sampled two sliders: A short rib and blue cheese combo and a Kobe beef with cheddar and red onion jam. Both were very tasty and went amazingly well with the Stuck in a Pickle Cocktail featuring 4 Roses single barrel bourbon. 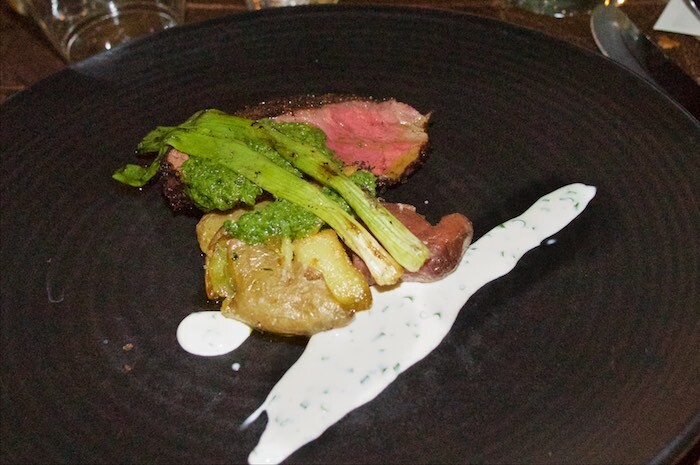 Our final course was a coffee rubbed flank steak served with chimichurri & papas bravas. This paired perfectly with the Coffee By The Campfire Cocktail using Garrison Brothers Texas straight bourbon. This was my favorite cocktail in both taste and presentation. The Mix Up Bar will be hosting more events like this in the upcoming months, featuring various spirits and speakers. Be sure to get your tickets early as they will sell out fast. I am so jealous (as is the OH, who is reading this over my shoulder...he's a big bourbon fan!) Food looks fab! Wow - it sounds like a great time, with fab food and cocktails! It looks like a great way to spend the evening! The presentation on that bourbon cocktail is amazing. Wish I could have seen it in person or on video. Looks like it was a wonderful experience. I'm so jealous of this experience! MmMm mac and cheese!! Give me all the bourbon EVERYTHING! Oh my, is that steak and mac and cheese? I'd want all of that!